Corroborated by various research studies, one of the major benefits of astragalus is its ability to support immune system function. According to a study published in Integrative Cancer Therapies, astragalus increases the production of white blood cells, notably T cells and macrophages, which play major roles in boosting the immune system. In another study published in Alternative Medicine Review, “intramuscular injections of astragalus for 3-4 months in patients with coxsackie-B viral myocarditis resulted in a significant increase in NK-cell activity.” The patients consequently enjoyed an improvement in symptoms and general condition compared to pre-treatment levels. In animal studies, astragalus has also been shown to help in killing viruses and bacteria. For instance, in a study that examined the “Effect and mechanism of Astragalus membranaceus on coxsackie B3 (CVB3) virus RNA in mice,” it was observed that “the copy numbers of CVB3-RNA as well as the histologic necrotic sizes in myocardial tissues of AM treated infected mice were significantly smaller than that in infected normal saline treated mice (P < 0.01, P < 0.05), respectively.” In conclusion, astragalus has proven itself as beneficial for the immune system. In addition to supporting the immune system, astragalus has also been shown to help maintain healthy blood sugar levels. One study showed that taking 40-60g of astragalus on daily basis for up to four months can potentially improve post-meal and post-fasting blood sugar levels in individuals with Type 2 diabetes. Similarly, in an animal study published in the Journal of Ethnopharmacology, where the researchers examined whether treatment with the astragalus polysaccharide (from Astragalus membranaceus) improves insulin sensitivity in insulin-resistant mice, it was observed that the astragalus “treatment ameliorated hyperglycemia and insulin resistance.” Interestingly, astragalus is the most frequently used herb used in traditional Chinese medicine for the maintenance of healthy blood sugar levels. The profound benefits of astragalus also extend to the heart. It is believed that astragalus can improve heart function by widening the blood vessels and increasing the amount of blood pumped from the heart. In one study, which examined the effects of astragalus on cardiac function, 2.25g of astragalus was administered twice daily to patients suffering from heart failure over a period of two weeks, alongside conventional treatment. At the end of the study, it was observed that patients who received the astragalus enjoyed a higher improvement in health function in comparison with those who received conventional treatment only. In a similar study where cardiovascular patients were given 60g of astragalus per day by IV, alongside conventional treatment, it was also observed that the patients enjoyed more significant improvements compared to those receiving only conventional treatments. 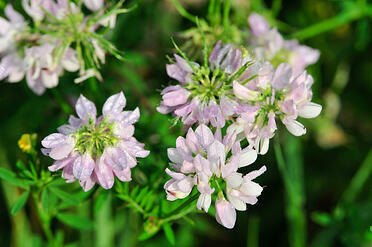 Astragalus may also help improved the bacterial flora in individuals with reduced kidney functions. According to a study published in the Cochrane Database of Systematic Reviews, 7.5-15g of astragalus taken daily for 3-6 months caused a “38% reduction in the risk of infection in patients with nephrotic syndrome” with no serious adverse events reported. Although more research is still required, the existing evidence certainly reveals that astragalus is really good news for kidney function and by extension, overall health. Considered by some the “herb of longevity,” this plant has certainly stood the test of time in proving itself as a top performer in multiple areas of our health.